A few years back, heading to popular tourist destinations and clicking a pic at the famous landmarks was the only sort of holiday for most travellers. However, today’s travellers expect more. They want to head the off-beaten path and explore uncharted destinations. This has led to the increase in popularity of adventure activities like mountain biking, rock climbing, paragliding, skiing and of course trekking. 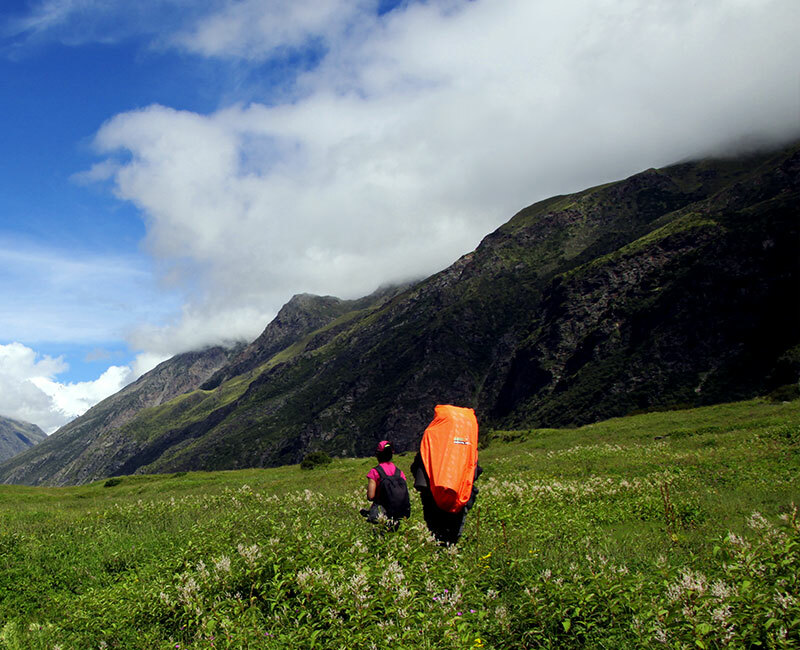 Trekking remains the preferred choice for the travellers of today as it gives a chance to get in close with nature. Uttarakhand remains the most popular choice for trekkers all over the country. 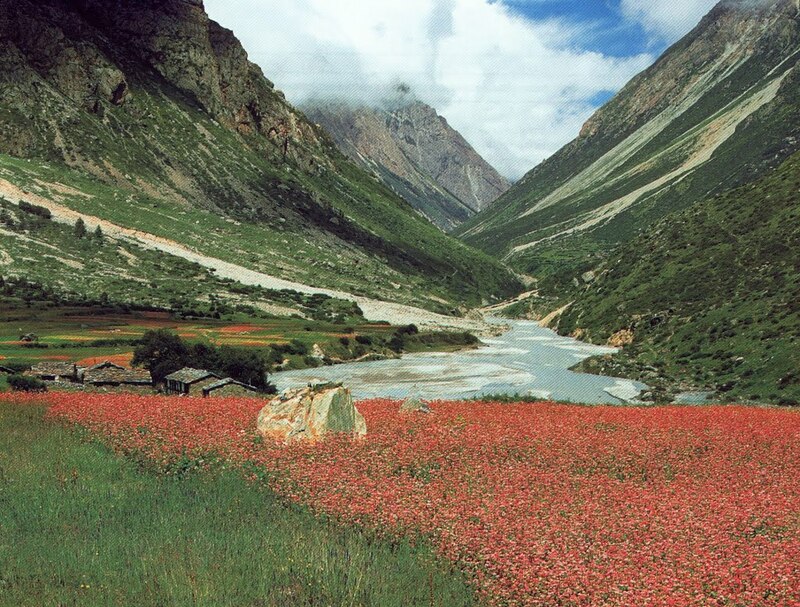 The primary reason is the pristine beauty of the Himalayan mountain ranges. Treks take you through dense jungles, idyllic villages, alpine meadows and rugged hilly slopes. There are several trails to choose from. You can choose a particular trail depending on your fitness levels and the destinations you want to explore. Each of these stops on the treks offers you enchanting views, a chance to imbibe the local culture, taste locally sourced food and to camp alongside rushing streams and dense forests. Here are a few places that you mustn’t miss out on your treks through Uttarakhand, the Land of the Gods. This valley is formed by the Dhauliganga River, which meanders its way through lush forests, bubbling streams, enchanting waterfalls, colourful meadows filled with wildflowers. Trekking through this region is a feast for the senses. Picturesque vistas serenade you, while you listen to the melodies of the jungle. This valley is believed to be the place where the Pandavas had their last meal before embarking on their journey to heaven. The level of difficulty of this trek is moderate. Nanda Devi is the second highest peak in the Himalayan ranges in India. This trek is the closest that you can get to the majestic Himalayas. This is one of the exhilarating treks in Uttarakhand that starts from Munsiyari and passes through lush forests, colourful meadows and winding mountain trails. The surreal beauty of the snow-capped mountains, the scenic vistas surrounding the peak, the vast variety of exotic flora and fauna makes it a one-of-a-kind destination in the world. Ralam Glacier is an idyllic glacier near Munsiyari. It lies at the foot of the great Himalayas in the Kumaon region. The serene and surreal beauty of this region is sure to blow you away. The best time to trek is from between April to June and September to November. Brijganga Pass at the height of 4666 metres is one of the best places to take in the enchanting beauty of the surrounding Himalayan valleys in all of Uttarakhand. One can view the entire Nanda Devi range of Peaks from this Pass. This is a famous glacial lake in Uttarakhand. This lake has acquired a notorious fame due to the two hundred human skeletons lining the edge of the waters. It’s believed that these are the skeletons of warriors who waged a battle here long back. The quiet charm and the air of mystery add to the surrealistic nature of this lake. A trek through these jaw-dropping destinations in Uttarakhand offers you complete respite from the chaos and clutter of urban life. Trekking takes you close to Mother Nature like never before. Rejuvenate and Rediscover yourself! Next article‘Anti-Romeo’ Police Squads in up, is this right step?